Today we have an awesome guest video game review from Max @ Impassionedcinema! After five years of anticipation, Fez has finally come out to Xbox Live. Since the game has been featured at gaming conventions and is even one of the subjects of Indie Game – The Movie, there’s been quite a lot of people awaiting it’s arrival. 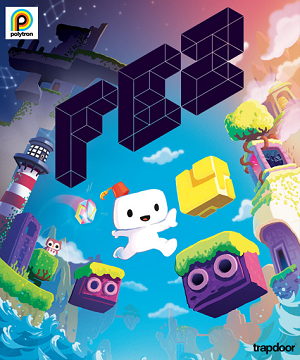 An ode to classics such as Castlevania, Super Mario Bros., and The Legend of Zelda, Fez follows Gomez and his journey through the 2D world. It seems that it’s time for his adventure to begin though, as the wise man of the village passes the torch on to him. Gomez witnesses the explosion of a cube that shatters its pieces everywhere for Gomez to collect. It has also damaged the world he lives in. Now his world can be rotated in 3-dimensions due to the explosion. Everything about Fez feels retro. From the low-level of detail in the character design to the inspired score by Disasterpeace, Fez is all about the classic game love. 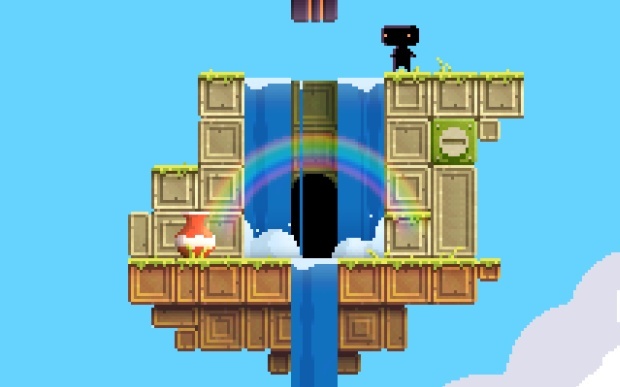 The players journey through the world of Fez will require jumping from platform to platform in order to find the next piece to the puzzle. Rotating the screen at the exact moment to connect different orientations of the world is often required. Luckily, the gameplay of Fez never feels cheap. Even if you miss a jump, it’s only a matter of seconds until you can try again. There’s a layer of gameplay underneath the seemingly simple platformer. Once half the game is completed, Gomez will discover that there are also thirty-two anti-cubes to collect in addition to the original thirty-two. These cubes require a deeper understanding of the world, having players decrypt the language and symbols of the world to solve the incredibly original puzzles. The true adventure of Fez begins halfway through the game. If there are any faults to Fez, it comes from two different areas, map design and bug checking. The map has a steep learning curve to it that even three hours into the game it continues to frustrate. While the idea is reminiscent of the Metroid Prime series maps, it never feels intuitive. It’s such a vital piece of the game as well since it works as a checklist for places that all the puzzle pieces have been found. The other area that still needs work, are the game bugs. After five year of development, Fez still has some crushing bugs. Sometimes they will transport players right back to the Xbox Live Dashboard and other times save games might even be corrupted. One of the biggest problems I suffered through my play through was that the sound would cut in and out while rotating the world. These faults in the code are inexcusable and while I’m glad to finally have the chance to play Fez, it’s a shame that these faults still exist. 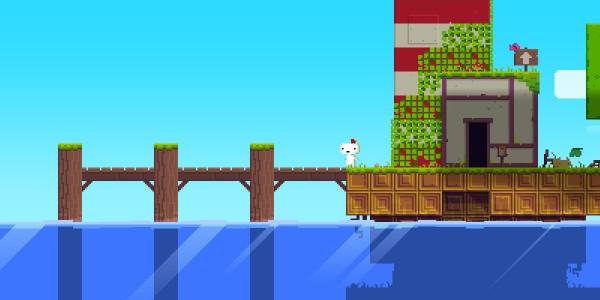 In a video game world full of copycat ideas, Fez is an inspired original journey. Light on story, but deep in creativity, Fez will be a game remembered for the things it accomplishes as opposed to the things it might’ve fell short on. So what are you waiting for? Get ready to follow Gomez through this inventive world and forever remember what a Fez is really capable of achieving. Very nice review, Max! The grahpics for this one really did strike me as retro, and I’m impressed how the game blends retro and new gameplay to make a truly unique experience. Unfortunate to hear that there are some bugs with it (especially since it took five years to release!). Maybe a patch will make things better. Hopefully more developers will realize some of us just want classic gameplay done better. I heard the team working on Fez wasn’t too big so it’s not surprising there’s still bugs. Just disappointing. Hopefully they get it fixed soon. Thanks again for sending this over, Max! I actually downloaded the trial of Fez over the weekend. I was so confused at first because I didn’t realize you had to rotate the screen to get out of the first area, but once I paid attention I had a great time with it. Definitely plan on purchasing it soon, though right now Trials Evolution is soaking up all my gaming time. That’s a great question, and sadly it’s one I don’t know the answer to. I haven’t played through all of Fez myself (Max wrote this review), but I have seen the screenshot pop up on a few sites. Maybe it’s just concept art…?